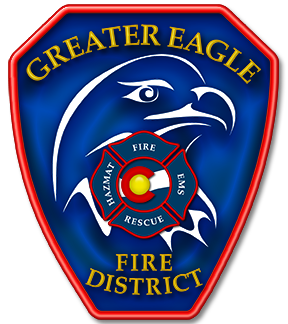 To provide prompt, courteous, and professional fire prevention, suppression, emergency medical, rescue, and related emergency services to the residents and visitors of the Greater Eagle Fire Protection District. We will continue to transform today’s fire and rescue service into a progressive, proactive, and professional service; a service that will exceed today’s demands, and meet tomorrow’s needs. 1. EXCELLENCE-We are devoted to serving our residents and visitors and to exceeding their expectations. 2. COMMITMENT-We are committed to our members and to their professional development, service, safety and recognition. 3. SERVICE-We will always strive to provide prompt, courteous, and professional service to the best of our abilities. 4. EMPOWERMENT-We delegate official authority and trust our members with the power to provide customer service to the level of their abilities and imagination. 5. INNOVATION-We constantly explore new concepts and methods in order to increase our efficiency and/or effectiveness. 6. PARTNERING-We aggressively seek and accept partnerships to improve the quality of our organization and service. 7. INTEGRITY-We act ethically, we are honest, we keep our word, and take full responsibility for our actions.